(VEN) - The Dinh Vu Industrial Zone in the coastal city of Hai Phong is considered one of the most effective in the north of Vietnam. 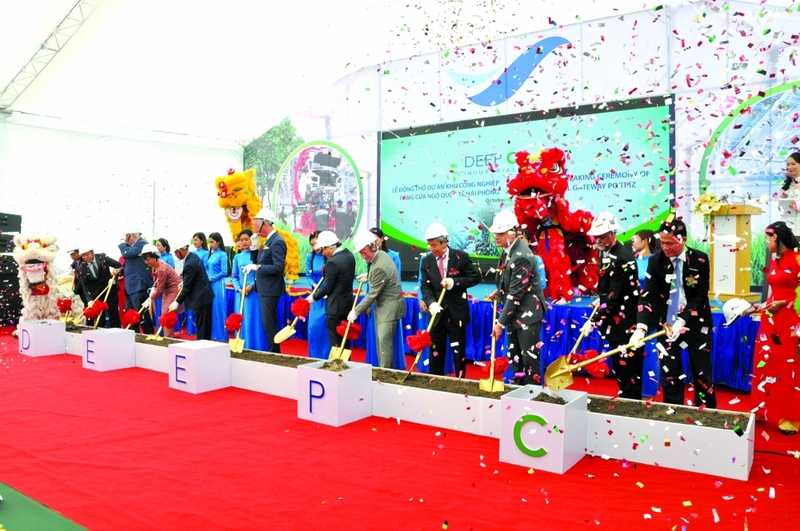 On October 5, the Dinh Vu Industrial Zone Joint Stock Company broke ground for construction of the adjacent Hai Phong International Gateway Port Industrial Zone (Deep C III), with the goal of creating an international-standard industrial zone attached to a deep water port. 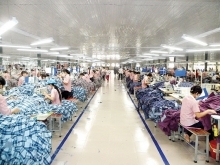 The Dinh Vu Industrial Zone is considered the largest and longest-term investment by the Belgian government in Vietnam. 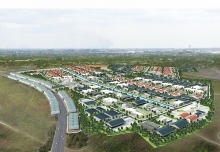 At the groundbreaking ceremony, Deputy Minister of Planning and Investment Dang Huy Dong said that in the 20 years since its establishment, the Dinh Vu Industrial Zone attracted 68 projects with a total investment capital of more than US$2.8 billion, contributing to the industrial development of Hai Phong City and the country in general. Many world-famous brand names, such as Bridgestone, JX Nippon Oil & Energy, Idemitsu, Shin-Etsu, Chevron, PV Oil, IHI, Nippon Express, Yusen, Knauf, C.Steinweg and Flat Group have invested in the zone, creating over 10,000 direct jobs and 50,000 indirect jobs in the field of industrial services. In the wake of its success, the Dinh Vu Industrial Zone Joint Stock Company decided to establish the South Dinh Vu Industrial Zone (Deep C II) and Deep C III, with Deep C III to be an eco-industrial zone. 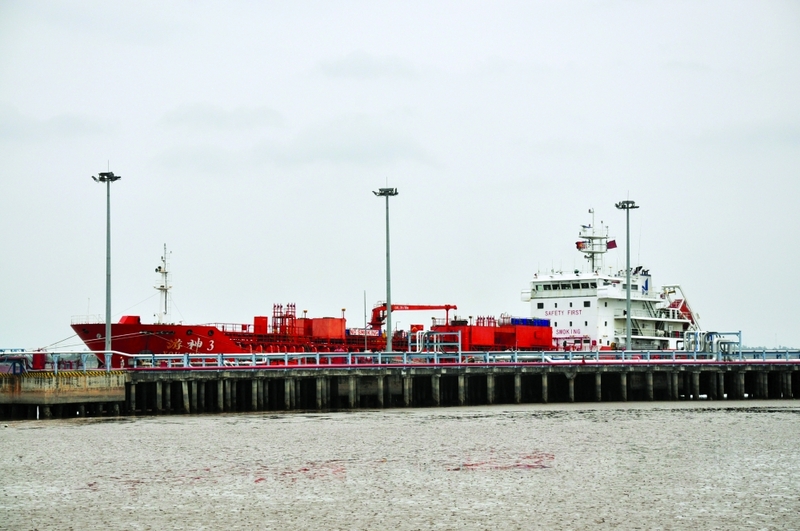 Deep C III will be connected to Lach Huyen international deep seaport 100,000 DWT, the Tan Vu-Lach Huyen Bridge, the Hanoi-Haiphong Expressway and Haiphong-Ha Long-China Expressway. It will also have easy access to Cat Bi International Airport, 40 minutes away by car, with direct flights to several Asian countries and many cargo possibilities. “We trust that Deep C III is a perfect location as an international logistics base. With a first deep-water seaport for the north of Vietnam, this will allow cost-efficient imports and exports due to direct connections, avoiding transshipment through Hong Kong or Singapore,” said Frank Wouters, director general of the Dinh Vu Industrial Zone Joint Stock Company. He added that the new zone would prioritize attracting automotive suppliers, logistics businesses, and general industries thanks to its proximity to Vietnam’s largest potential automobile manufacturing hub and international gateways. “Deep C wants to attract automobile parts suppliers who are eyeing Vietnam to supply ASEAN and find an alternative for the increasing costs in China, Thailand, or Indonesia. This is in line with the vision of the Vietnamese government to develop the country’s automotive industry. 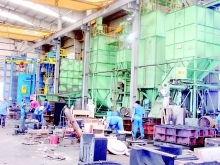 We also trust that our automobile supporting industrial park can be a good combination for our neighbor, the Vinfast automobile manufacturing complex,” Wouters said. The Dinh Vu Industrial Zone JSC, with stakeholder Rent-A-Port’s leadership and contribution from the Haiphong People’s Committee and Infra Asia Investment Hong Kong, started developing the first Deep C IZ 20 years ago. Today, it is a symbol of the firm cooperation and relationship between Belgium and Vietnam, as the Deep C cluster is the largest Belgian investment in Vietnam. 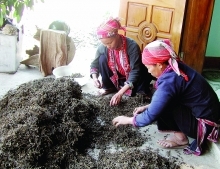 The consortium’s two Deep C IZs, occupying a total land area of 2,000ha, have become premier IZs in the north of Vietnam, attracting 70-plus projects backed by multinational companies from Japan, Germany, the US, Vietnam, Singapore, and the Republic of Korea, with a total investment amount of over US$3 billion. The most significant difference to its sister IZs is that the new zone will be developed to become an eco-IZ, with green energy production and supply facilities, clean water from available sources of raw water treated with green power, and all projects high-tech and environmentally friendly.